A massive THANK YOU! 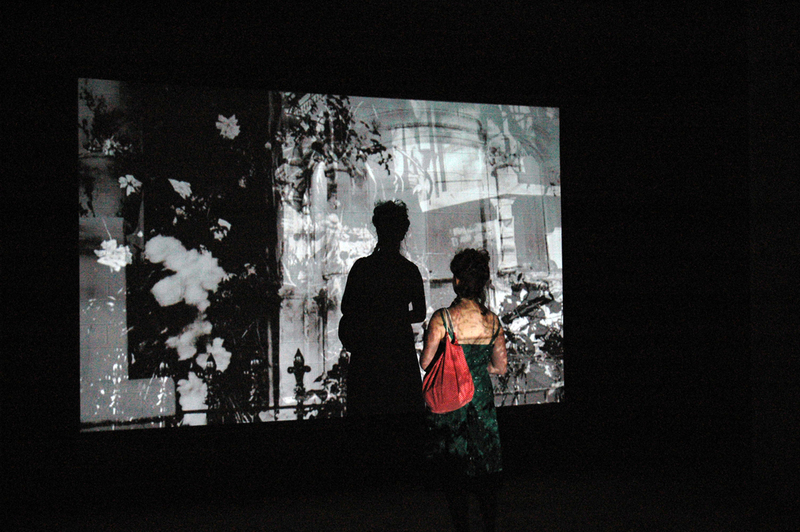 to Hackney WickED and Lab Film Projects for including my work in this year’s programme – Very Moving Pictures. To see the film in full click here – it’s best viewed at about 2-3m high. To look at the original photographs take a look at my website. 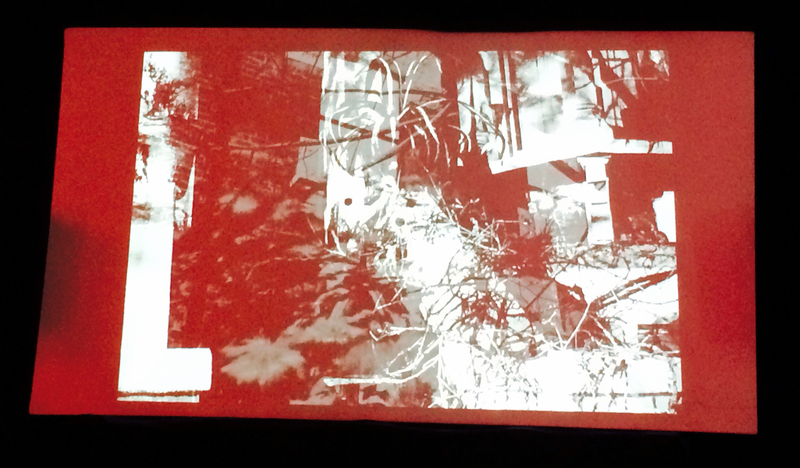 Here are a couple of photographs of my film as it was shown in the Cinema Lounge. This version has a more constant pace than the rhythmic original (shown at Islington Exhibits 2013) and emphasises the built up layers that appear within the transitions. I’m now even more keen to project this series in every-day places, so will start the hunt now ready for a good evening location that I can use when the clocks go back! Chasing Shadows at Hackney WickED! Chasing Shadows (multilayered silent film) will be showing at this year’s Hackney WickED festival, in the Lab Film Projects Cinema Lounge! Hackney WickED is an annual arts festival taking place all around Hackney Wick, London from 1st August. The festival is a dynamic force for promoting local culture – dedicated to providing a platform for artists to showcase their work alongside established and international names. Screenings and performances of contemporary artist’s film and video, alongside live audio-visual performance and installation. Exciting, surprising, innovative and challenging, with appearances by directors and artists, the cinema is personal and engaging, and the place to see cutting-edge moving image works. Chasing Shadows will be in the Experimental Film section of the main programme which also includes live performances halfway through. The two programmes run from 12-7.30pm on Saturday 2nd August (experimental films towards the end) and 12-7.30pm on Sunday 3rd August (experimental films first). Chasing Shadows is a night journey, a peaceful sleepwalk through a silent world bereft of people. As the evening light transforms the everyday into a dreamlike state, familiar urban landscapes disappear underneath resilient vegetation. For this series I used long exposures on 35mm black and white film to record the contemplative stillness of the night, the only movement in the wind blowing through leaves. 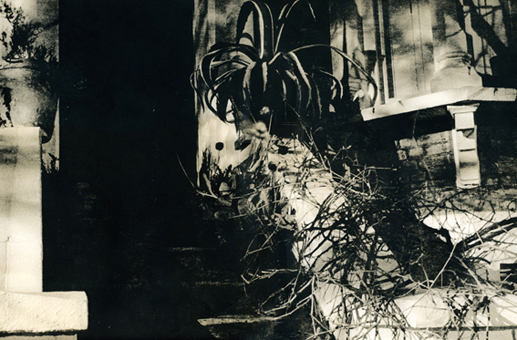 I hand printed the images with lith developer on old fibre based paper to create single edition prints with a tactile quality and degraded aesthetic reminiscent of illustrative drawing or etching. 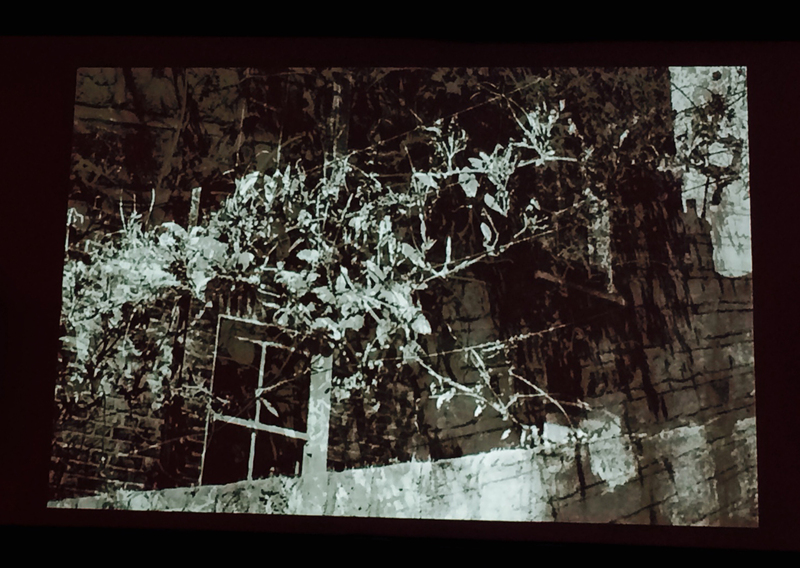 Winning a 2013 Islington Exhibits Artists Award, I was commissioned to rework the images into a large-scale projection installation for solo exhibition, which I have since further refined using multiple exposure layering of the images. The projection paradoxically represents the frozen moments as transitory echoes of the original, each dissolving into the next in a slow, rhythmic loop.